The Grape Solar Go Charger 7.5 provides power on the go for your portable electronics. 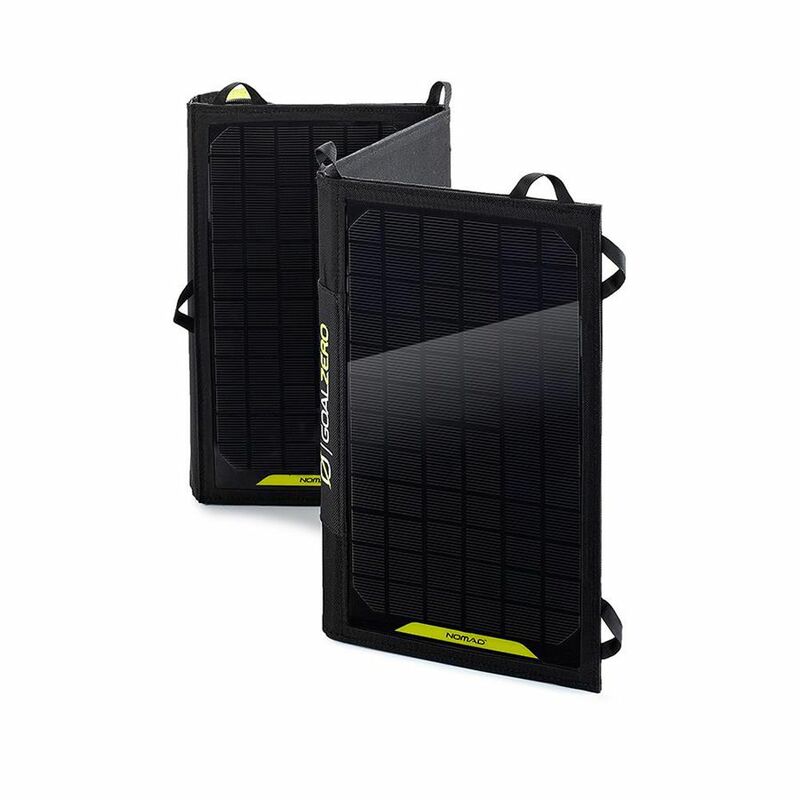 This 7.5 Watt crystalline solar panel easily clips to bags for use while traveling. A micro-USB cord on the back of the panel provides easy connection to portable batteries and smartphones. Nature Power Monocrystalline Solar Panels take the sun's energy and turns it into electric current. These solar panels are high efficiency 12-Volt solar panels featuring sturdy aluminum frames and high transparency tempered glass tops. They have a scratch resistant and anti-reflective coating to help keep the solar panel in good shape for many years. They are rugged enough to be permanently mounted outdoors or even on mobile applications such as RVs and boats. The entire module is sealed against moisture. Designed for charging 12-Volt batteries in off grid applications of any scale a solar charge controller is required to keep your batteries from being overcharged. Designed for use with Nature Power 8 Amp Solar Charge Controller or Nature Power 28 Amp Solar Charge Controller. Installation time is minimal thanks to plug and play connections and included flat mounting hardware. Nomad 100 Solar Panel Portable, rugged, and powerful, our largest foldable panel is designed for mobile basecamps and die-hard adventurers. With built-in charging cable for Sherpa Power Packs and Goal Zero Yeti Portable Power Station. Can be chained with other solar panels to collect more power from the sun.